The easy routes linking Zell am See-Kaprun to the transport network and wonderful panoramas make driving here by car a pleasant sightseeing tour. Zell am See-Kaprun is approx. 2.5 hours’ drive from Munich and 1.5 hours from Salzburg. Salzburg Airport is the easiest one to reach for guests visiting Zell am See-Kaprun. Salzburg Airport is around 80 kilometres away and Munich Airport around 200 kilometres. 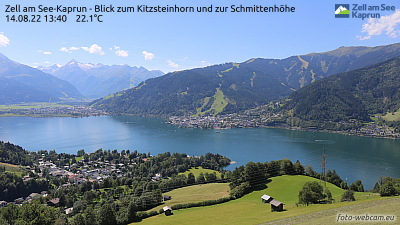 You can easily reach Zell am See by shuttle, taxi or train.